One common field sobriety test that officers administer to suspected drunk drivers is the one-leg stand test. With this test, the driver is instructed to stand on one leg for 30 seconds while the officer watches. If the driver struggles to pass the test, the officer may assume that the driver’s blood alcohol content is .10 or higher. Failing this test is sufficient reason for an officer to place the suspect under arrest for DUI. 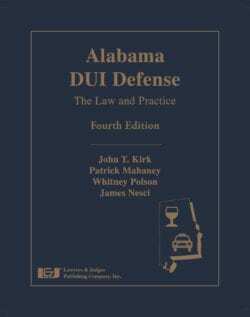 If the suspect exhibits two or more of these behaviors, he or she will meet the criteria to be arrested and charged with Alabama DUI. The more behaviors shown, the more convincing the testimony could prove to be. But like the other field sobriety tests, there are flaws. For the test to be carried out properly, the driver needs to be in good physical condition, have sufficient lighting and the location must be on solid, flat ground with a dry surface. The one-leg stand test is not a very scientific way of measuring intoxication—in fact it’s not scientific at all! The general scientific community does not accept field sobriety tests as a measure of proving one’s intoxication levels. 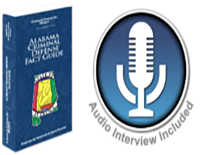 With a qualified Alabama DUI attorney to represent you, you can fight for case even if you “failed” the one-leg stand test. There are many defenses against the test that a qualified DUI attorney can present. To get started on your defense, contact Polson and Polson, P.C. now!